The call data is stored as a file on the OIP server if so selected during the user-defined installation of the OIP server. In the standard settings a new file is written daily in the directory ...\aastra\oip\tax. The files are created in .csv format. The file name is taxdata-jjjj-mm-dd.tax, with representing year-month-day. 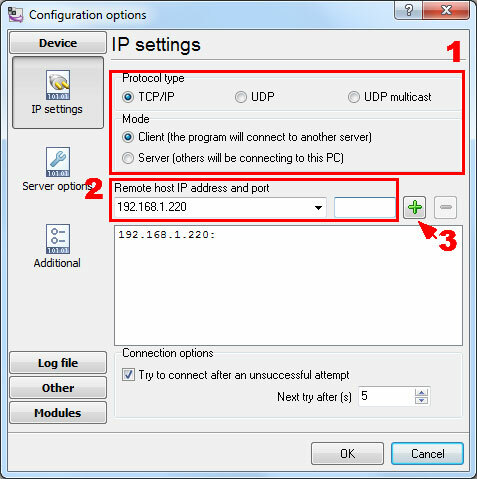 The Call Logging settings can be made in the OIP service Call Logging Driver. In this case you can create the "File" data source in our software and process "tax" files. The PBX can send the SMDR directly to the Advanced PBX Data Logger. Look at the settings below (Aims, AMS for Aastra 400). Our software should work in the TCP client mode. It means that our software will initiate connection with the PBX and the PBX will work as a server. Add one or several PBX IP addresses here (the IP address of the Aastra Intelligate). 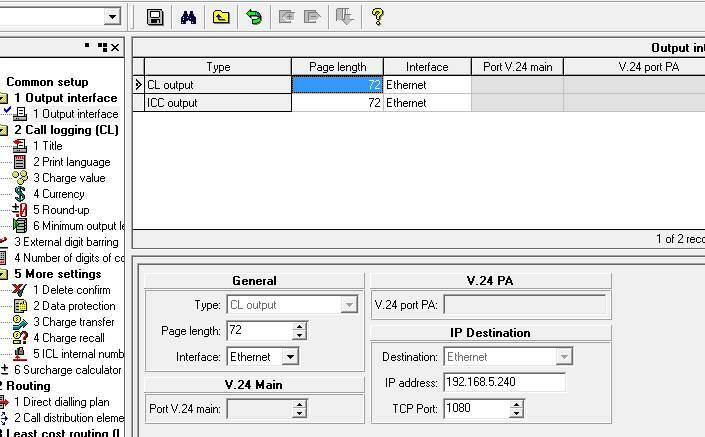 The port number should match the port that you have defined within the PBX (1080 in the example below).